In the midst of directing her latest film, Margherita’s life is falling into crisis. As her mother is dying in the hospital she struggles to keep her life together along with dealing with an adolescent daughter and problems that arise on the set of her film. 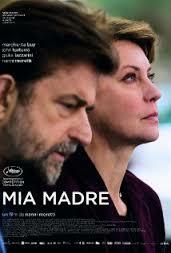 This 2015 film is directed by and stars Nanni Moretti. The cast also features Margherita Buy and John Turturro. After the viewing there will be a light reception for a discussion of the film.